Every New Years Day as a kid I would look forward to hearing Keith Jackson kick off the telecast of college football’s Rose Bowl game by calling it “The Grandaddy of Them All”. When it comes to Beer-Week celebrations, which now take place in over 30 American cities, Phillly BeerWeek is the equivalent of the Rose Bowl. 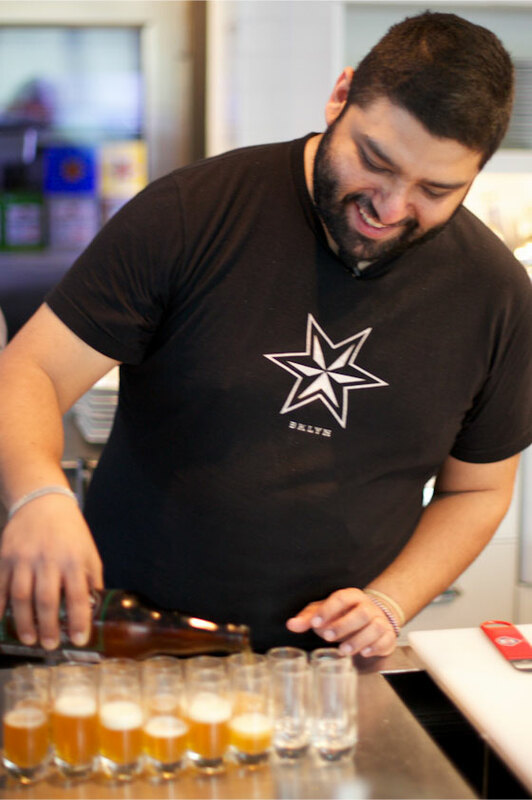 This year is the 5th annual, and our 4th at Sixpoint (my 3rd!). The evolution of this festival has been incredible to watch. I recall a damp Wednesday night in March 2008 going to Smuttynose Brewery’s Mustache Bash at South Philly Taproom and thinking how fun it was that there was a series of unique events featuring incredible beer at a few of the best beer-bars in town for a week. Five years later 1100+ events in 90+ establishments all gets packed into 10 days of beer-soaked glory. 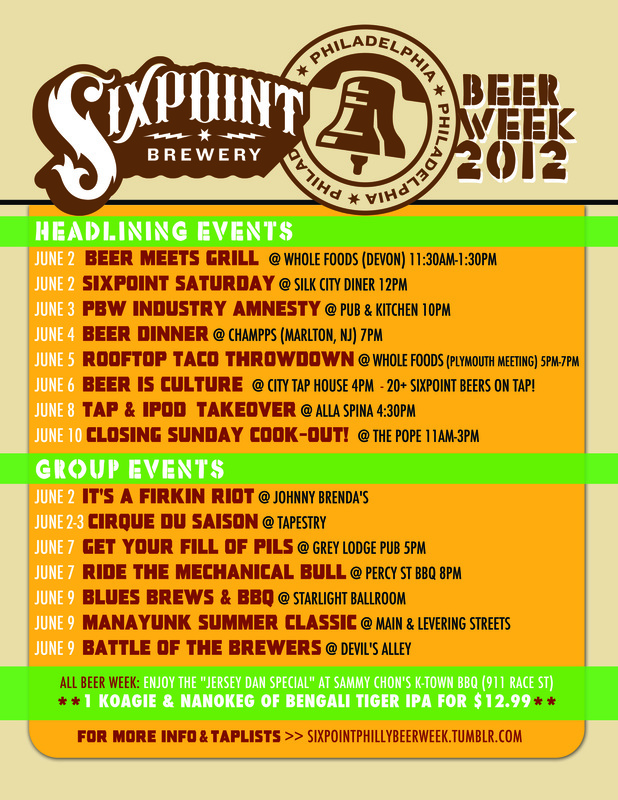 This year Sixpoint has our largest showing at PBW to date, with 8 headlining events & 7 group events. This Tumblr page is a catch-all site for all our events. We’ll feature event info, tap-lists, and liveblogging from every event! We hope you can join us for a pint (or 2!) along the way.